Need a venue for your function? Why not consider holding it at the golf club? Its perfect for all your needs with two rooms, available for hire at very reasonable rates. The Club Dining Room doubles as The Committee Room and is ideal for smaller seminars and conferences. 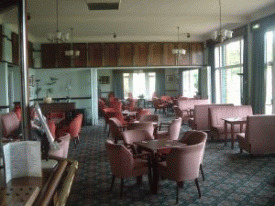 The larger Club Lounge can be utilised for either the one large venue or with the extension doors closed, two separate rooms. With a variety of menus available as well as superb buffets, it's exactly what you are looking for. Contact the Secretary at Tel. No. 0191 5342518 or email us here. Any of our freindly staff will take details from you if you visit the clubhouse to make enquiries. 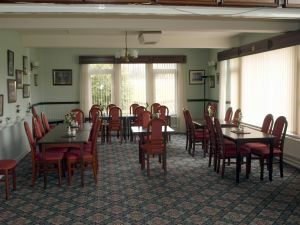 The Club has superb buffets available or an attractive two or three course menu for groups pre-ordering. 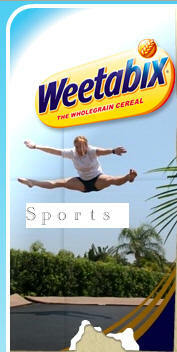 There is also a great selection of sandwiches and bar meals available on demand. The Club is currently in the process of re-organising its catering services for the coming year, and details will be provided as soon as they become available. Call in and meet the staff to talk over your needs. 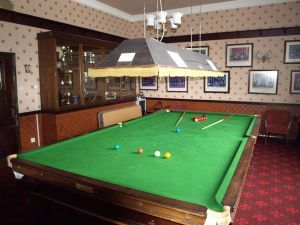 The Club now has a Snooker Room, across the lobby from the main bar, that houses a full size snooker table, available for use by visitors/visiting parties as well as members. There are instructions for use and playing order on the wall next to the payment slot machine. Externally, the Gents & Ladies Locker Rooms can be accessed from outside after first obtaining the door code from the Club Professional or Secretary. Internally, the Gents Locker Room is adjacent to the Secretary's Office in the Foyer. whilst the Ladies Locker Room is alomg the corridor adjacent to the Main Lounge and Kitchens. Visitors are requested to use these chaning facilities and not to use the car park for changing.